The Proton GEN 2 is nice little car which looks good (apart from the silly rear wing) drives well is very well equipped and is as cheap as chips. To stand any chance at all of sales an anonymous brand like Proton must have a cast iron warranty and the GEN 2 comes up with the goods. Theres a 3 year 60000 mile overall warranty plus a 6 year 100000 mile guarantee for the engine and gearbox. 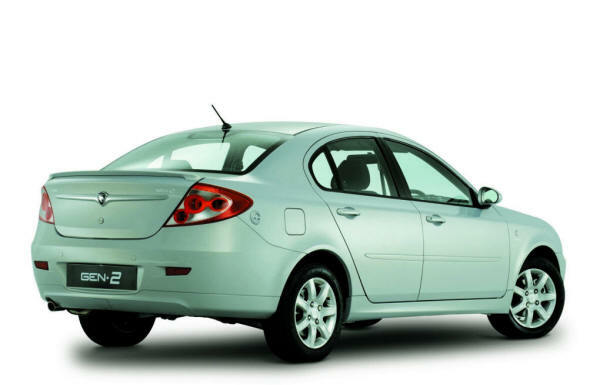 The Proton GEN2 GSX model that I drove has just about every extra you could hope for including leather seats and a reasonably powerful 1.6 litre petrol engine which retails at £10595 (€14800). That includes air conditioning four electric windows central locking front fog lamps a very smart Blaupunkt audio system and a smattering of the alphabet soup of computerised aids to driving safety like ABS and EBD. So just who or what is Proton and can you place your faith in it? The company is based in Malaysia and is described by Reuters in its various news reports as struggling” and ailing”. It seems to be losing money but nobody knows quite how much. It has been looking for a strategic partner. Mitsubishi of Japan owns a small stake and VW of Germany has been thinking about buying an interest too although it announced in November that the talks had failed. The Malaysians were unwilling to cede overall control to VW. Probably a more relevant factoid about Proton is the fact that it bought British engineering consultancy Lotus back in 2003. Proton makes much of this in its publicity material. The new 1.6 litre CamPro engine was developed with Lotus. Much of the car was designed by Lotus and this certainly explains why the car rides and handles so well. The engine even sounds a bit rorty when you floor the accelerator. If you zoom through corners the suspension holds the car level and the steering keeps the car straight and true or wherever you happen to be pointing it. The fivespeed manual gearbox is a joy to use giving slick and fast changes. The leather seats were a welcome surprise and added an element of class to the interior which is bright and cheerful. The dials on the dashboard look professional and serious although the controls for the air conditioning heating and demisting were sited low down in the centre and this late middle aged driver found it hard to see exactly what settings were in place and how to change them. Given that Protons target market is people like me it ought to sort that out. The interior was a mixture of class and bling with the clock sticking out of the middle of the dashboard not its finest feature. The steering wheel was clad in second rate material too. Headroom was limited although this could have been because I couldnt figure out how to lower the seat. The hand brake was a pistol handle design. The rear seats split 60:40. The boot is opened only by using a little lever close to the drivers seat. This was irritating because you cant just walk up to the boot and open it (at least I never found a way to). You have to open the car first. And perhaps the most negative aspect of all the boot lid which is in fact the fastback” or hatchback and incorporates a ludicrous go fast wing is very heavy and needs big muscles to lift up. Again the target market is unlikely to want to induce a heart attack trying to lift the boot lid so reform is needed here too. The looks of the car are top class with a delightful front end very attractively designed rear light clusters and an overall pleasing shape. There are two engine sizes – 1.3 and 1.6 litre petrol with two trim levels and a choice of the 5speed manual or a 4speed automatic gearbox. Theres no diesel. That could be a killer omission. Prices start at £8995€12500. Proton has three other products the Impian the Savvy and the Safira Neo. Dont forget that Nissan has proven with the Qashqai that silly names dont necessarily impair sales. When you look at the competition in this sector your first thought might be to reject this Malaysian interloper. But if price and value for money is important to you check out the GEN2. A similarly equipped VW Golf would probably cost at least £5000 €7000 more.